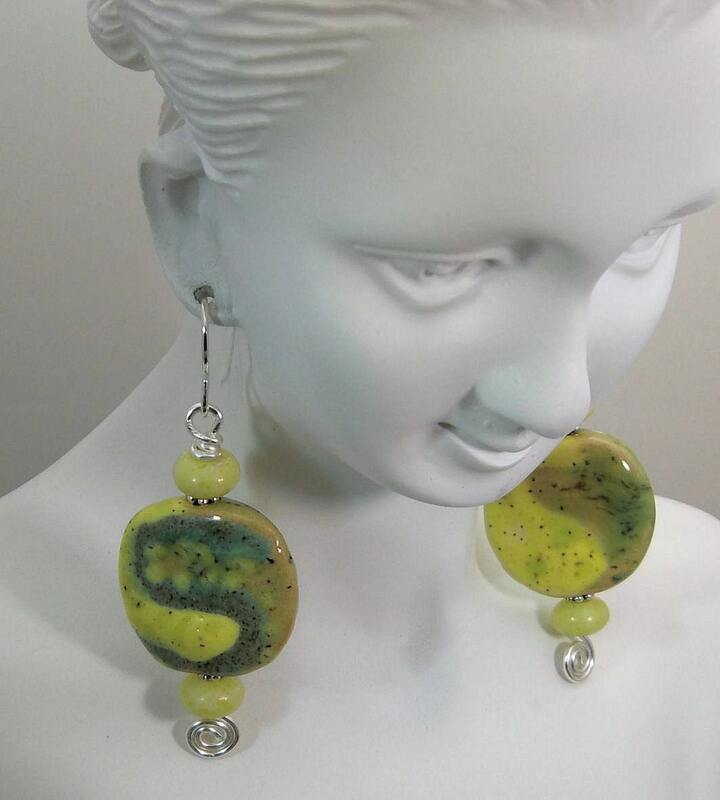 MIXED EMOTIONS - these earrings feature handmade African KAZURI Clay beads, Yellow Jade and sterling silver chain and handmade French wires. They measures 1 ¾ inches in length. 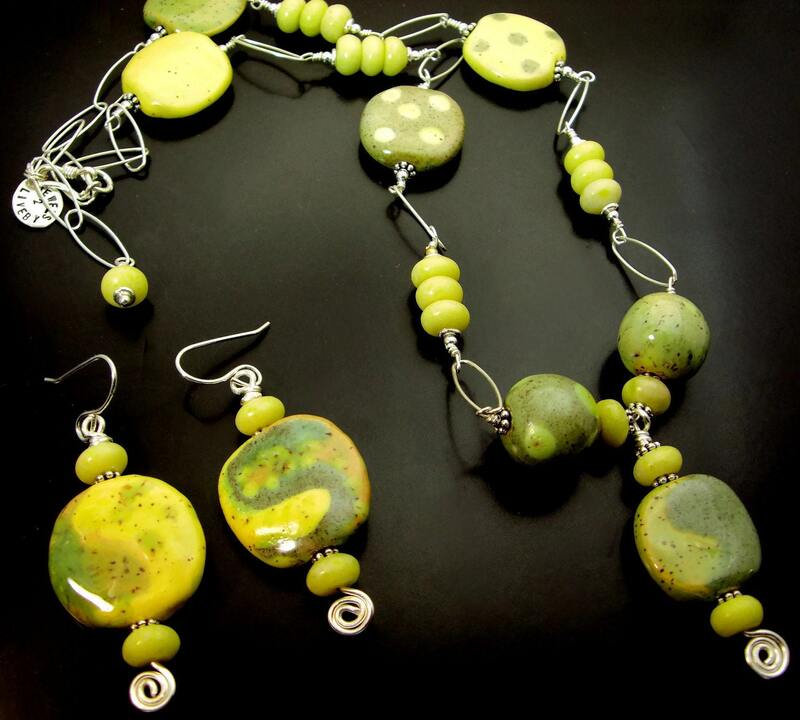 Kazuri Clay beads are handmade by omen in Kenya and they are truly wonderful – there are no two beads are alike! 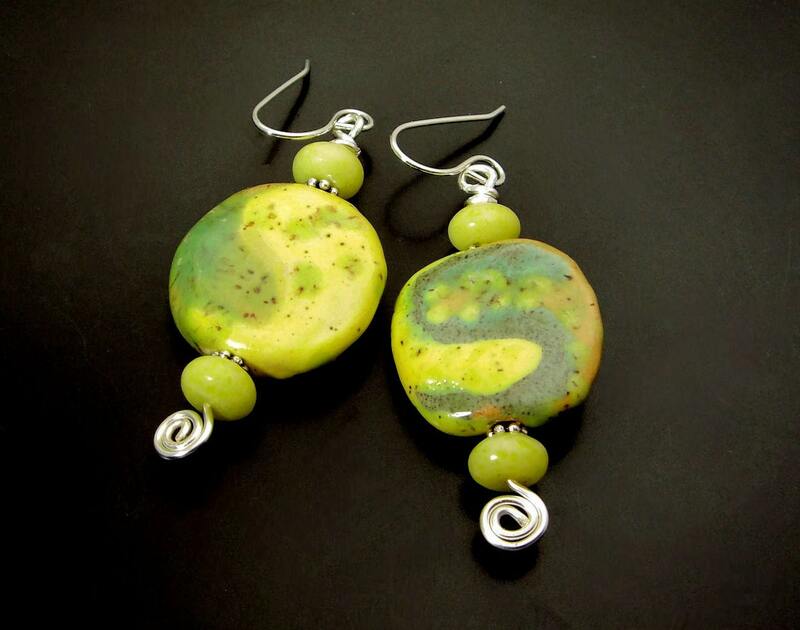 These earrings have a matching necklace listed in my shop. 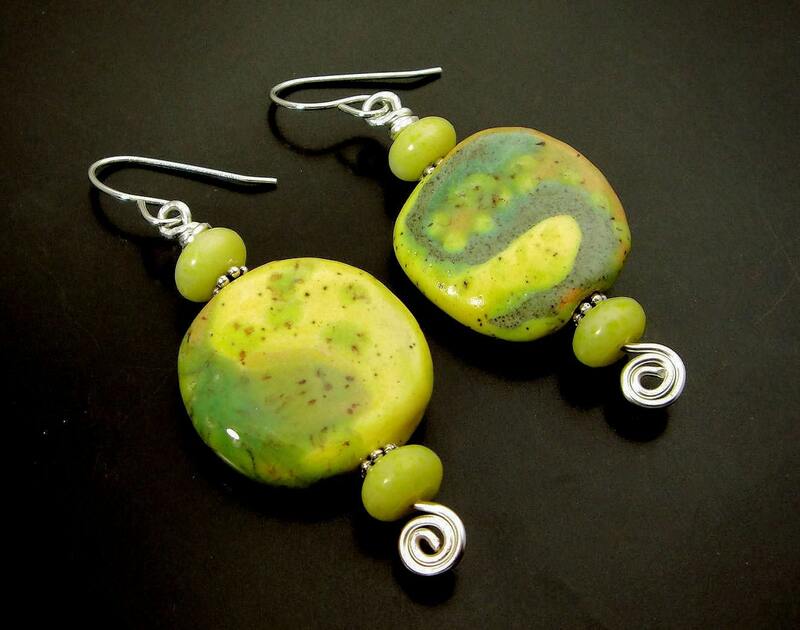 Your artisan jewelry will arrive boxed gift ready!